Virtual Organization Management Institute: Why Should Virtual Recruiters and Recruiters Partner with Virtual Organization Recruiters? 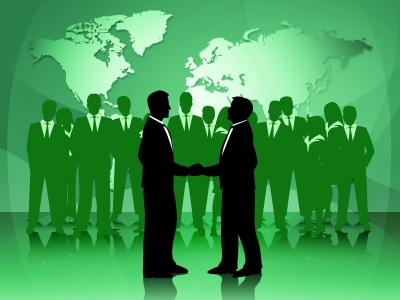 Why Should Virtual Recruiters and Recruiters Partner with Virtual Organization Recruiters? Why should "virtual recruiters" and "brick and mortar recruiters" partner with "virtual organization recruiters"? Before I answer that question, let's analyze the difference between them. Although virtual recruiters and virtual organization recruiters both operate in a completely virtual environment, the primary difference is that the "virtual organization recruiter" specializes in recruiting ONLY personnel who will primarily be working in either a 100% "virtual" or "virtual organization" environment. That means a "virtual organization recruiter" does NOT recruit for "brick and mortar" positions. The second most important difference is that a "virtual organization recruiter" operates strictly in accordance with the "virtual organization management discipline." It's basically a formal and universal set of standards, best practices, policies and procedures for operating in a virtual environment. Whereas, a "virtual recruiter" uses whatever "homegrown procedures for working from home" suits him/her best (no universal set of standards, best practices, policies or procedures). Think of the difference between cowboys (virtual recruiters) and soldiers (virtual organization recruiters). Although they both use guns and are good at what they do, the cowboy makes his own rules, whereas, the soldier has to undergo formal military training, wear uniforms, abide by a certain code of conduct, and must observe military rules or else be subject to the UCMJ (Uniform code of Military Justice). The third and most significant difference is that the "virtual organization recruiter" operates in accordance with the "virtual organization recruitment discipline." It's basically a formal and "universal" standard set of best practices, policies and procedures for recruiting ONLY personnel "who will be working in a VIRTUAL or VIRTUAL ORGANIZATION environment." NOT for recruiting people who will be working "primarily" in a brick and mortar setting. To continue with the same cowboys (virtual recruiters) versus soldiers (virtual organization recruiters) analogy, although cowboys quite often engage in fierce gun battles with each other (and fellow Indians), they use their own "homegrown, on-the-fly, and on-demand battle strategy," in other words, whatever suits them best at the time in order to get the job done. Whereas the military's mission is different and it is primarily used to fight wars against external enemies (and in the case of Indian nations, internal enemies) and uses formal military tactics, maneuvers and strategies learned in basic military training or at the military academy. As well, in addition to using guns and rifles which cowboys also use, they also receive formal training in the use of more sophisticated weapons. Since I am not the only recruiter who has ever been in the military, I am sure a lot of my fellow veterans will clearly understand what I mean. There is a big difference between carrying and shooting a gun or even being a cop on the beat versus participating in formal military training and being a member of the military. 1) It's because the virtual organization recruitment process is completely different than the standard recruitment process for brick and mortar candidates. It is primarily 99.9% assessment. Therefore, that type of work cannot be done on a "contingency" or "retainer" basis. Therefore, regardless of which solution a client selects, ADVANCE PAYMENT IN FULL is required from the client at the time the order is placed before any work can begin. Think of ordering a "personality test" from a provider for one of your candidates (if you were conducting a retained search for one of your clients). You wouldn't ask the provider to do it on a contingency, retainer or bill me basis. You would pay for the assessment at the time the order is placed before the assessment can be made and then bill your client (or deduct it from the retainer). With respect to contingency recruiters who want to partner with a virtual organization recruiter, if the search involves someone who would be working primarily or strictly in a virtual environment, then you would conduct your standard search and once you have identified your TOP Candidates, you would provide your client with a link to your virtual organization recruiter business partner so your client can place an order to schedule these top (3-5) candidates for the "Virtual Organization Aptitude Assessment" part of the recruitment process. As a business partner, you would automatically receive the results of the assessment along with your client, and you can proceed with the recruitment process with your client. Your virtual organization recruiter partner is now OUT OF THE LOOP. Also the minute the assessment order is placed and paid for and upon completion of assessment, the contingency recruiter receives their partner share of assessment fee based on whatever payment interval agreement he has in place with the virtual organization recruiter firm. You're paid in full by your "virtual organization recruiter partner" for your share of the assessment fee regardless as to whether or not you've made a placement with your client. That's a great incentive for letting your clients know about this additional service that you are also offering through your "virtual organization recruiter business partner" and recommending as many of your "top candidates" to your clients for "virtual organization aptitude assessment." As a former contingency recruiter dating back to the 80's, this partner opportunity would have been a godsend for us, considering the fact how hard we work and how little appreciation and loyalty we get from some of our clients. And if the client hires one of your candidates, you, the contingency recruiter, get paid your contingency placement fee in accordance with the terms of your search agreement. That's all there is to it! That's the business model for virtual organization recruitment. 2) Virtual Organization Recruiters do NOT want to compete with "virtual recruiters" and "brick and mortar" recruiters. They want to complement "virtual recruiters" and "brick and mortar recruiters" in order to help them increase their revenues and cash flow (by partnering with them in order that these virtual recruiters and brick and mortar recruiters can also offer "virtual organization recruitment solutions" as a "value-added" service to their clients). Therefore, if "virtual organization recruiters" started to also offer recruitment services for "brick and mortar positions," in effect competing with virtual recruiters and brick and mortar recruiters, there is Absolutely No Way that virtual recruiters and brick and mortar recruiters would want to partner with virtual organization recruiters. As well, virtual organization recruiters would be "committing suicide" - as well as be STUPID - if they were to start competing with the very people they want to partner with in order to help them grow and get the message out about this very important value-added service. That would be the equivalent of "biting the hand that feeds you." The bottom line is this: virtual organization recruiters do NOT compete with virtual recruiters and brick and mortar recruiters since they have a different mission. Instead "virtual organization recruiters" complement "virtual recruiters" and "recruiters" and help them prosper. I hope that helps a great deal!